The social media marketing space has become almost overwhelmingly competitive, which means we should take another look at the best post-planning tools available. Luckily for you, we installed every tool we could find and clicked every button to discover how they work and what makes each unique. 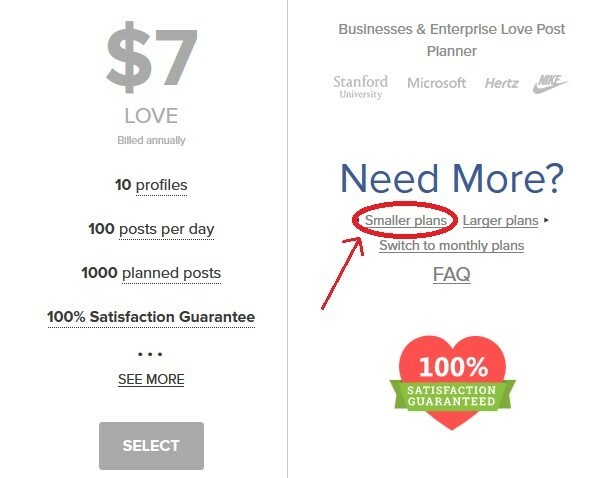 The free plan, which requires registration through your Facebook account, allows for a maximum of one social media profile, five daily posts and 25 planned posts at any one time. The registration process is pretty simple: choose your timezone, connect your social profiles and choose a default profile (the one you post from most often). You can change the default at any time. 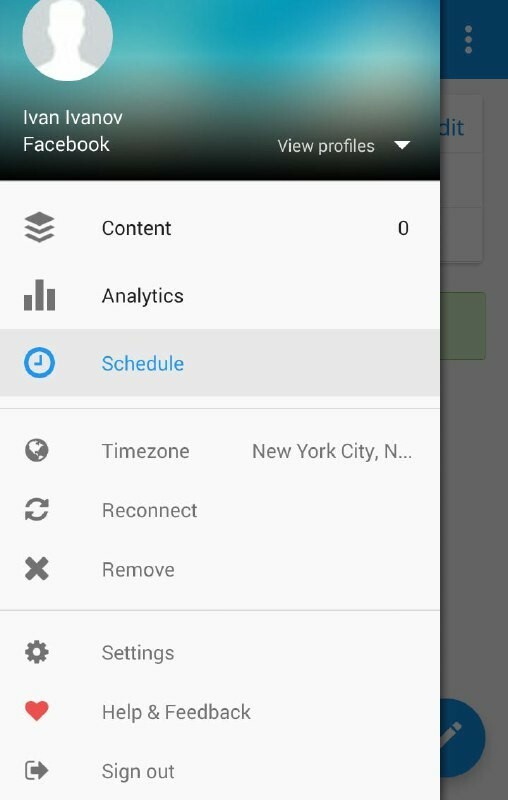 If your social media content is meant to be seen internationally, you have the option to create unique posts for each timezone. For example, if at 1pm, you want to say something like “Time to have lunch,” your post will appear at 1pm local time in a variety of locations of your choosing. This feature allows you to auto-publish RSS feeds of your choice (ex. : your blog) to your social media account(s). Choose from thousands of pre-written statuses, divided into 17 categories, including deep thoughts, summer, Facebook and tech, promo, contests and questions. 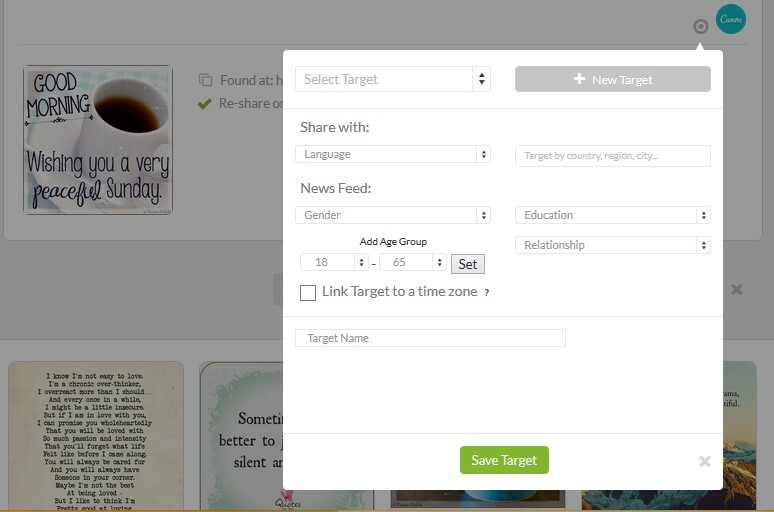 You can target your every post by country, language, gender, education, relationship or age. With only one click you can post an image as a link, an effective alternative to direct links. Post Planner offers a bunch of shareable content divided into categories. This professional tool plans and creates social media content for Facebook and Twitter. It’s great for freelancers, marketers and marketing agencies. The service offers a Light plan for $9 per month, which unlocks five Facebook and Twitter pages, over 1,000 regularly-updated post ideas and templates, as well as analytics, automated posting and a graphics editor. PromoRepublic’s content calendar not only allows you to plan your content but offers a number of special occasions for creative posts (international and local holidays and events, days from history, show business trivia/birthdays/etc., sporting events) to help you use the power of newsbreaks. PromoRepublic is the only editorial calendar with a social media planner template library, containing more than a thousand post ideas created by the company’s designers. The library also features a stockpile of pictures, quizzes and other relevant content for every occasion you can (or cannot) find in the app’s content calendar. With PromoRepublic’s graphics editor, you won’t need Photoshop or any other image editing tool because you can customize or delete image elements in just a few clicks, as well as add new ones from the app’s library or upload your own. If Momento is on, PromoRepublic will publish your posts at the optimal time, when your audience is predicted to be most likely to peruse social media, giving you greater engagement rates. The service includes placeholder social profiles and marketing channels like Pinterest, YouTube, Vimeo, Vine, email and more. Content DJ doesn’t always have the APIs it needs to publish on your behalf, but you can use the calendar to plan and approve content and can receive an email notification when it’s time to publish. Content DJ’s social planner combs the internet to deliver the best articles related to your chosen hashtags. In the trial version, you can choose up to 10 hashtags. Every article is rated from 1 to 100 using a specific algorithm and sorted from the highest-rated. A higher rating = higher engagement. If you prefer, you can use bit.ly to make your own custom URL instead of s.contentdj.com. You can also elect to receive an email notification when your editorial calendar is empty. 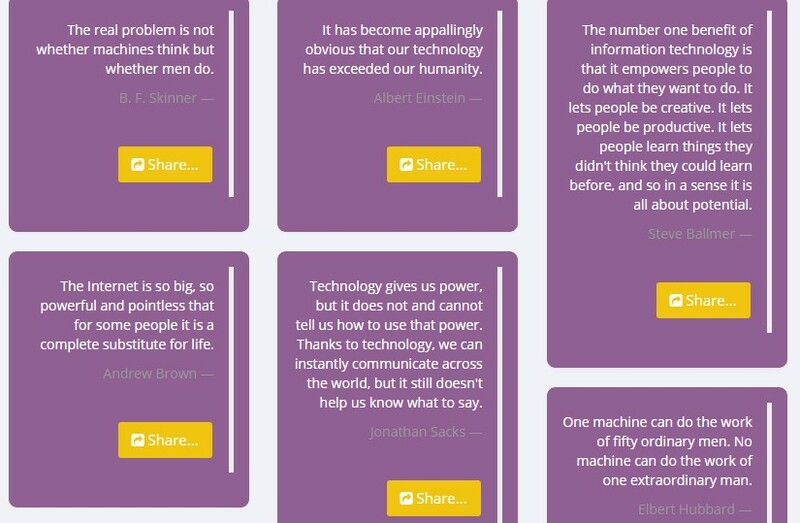 Choose among hundreds of quotes by famous people divided into 23 categories (i.e. Startup, Business, Travel, Wisdom). This social media planner (a.k.a. collaborative content marketing workflow software) is definitely for corporate use. If you run Facebook accounts, Marketing.AI will be too much for you, but if you have a large team or multiple website owners, this may be just what you need. Besides an editorial calendar, the tool includes themes, ideas, analytics and much more. The target audience is clearly indicated in the price: starting from $1,499 per month after their 14-day free trial. You and your team can create new themes and brainstorm about ideas for each, then store information for your current or future projects. When you’re ready, just transfer the concept to the calendar. 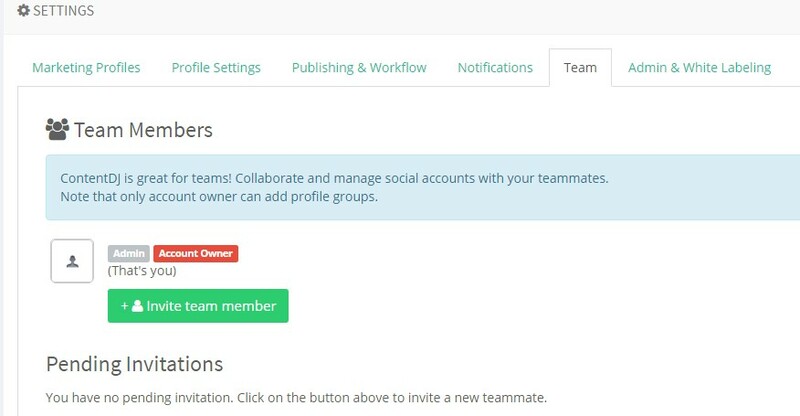 Assign roles and permissions to teammates, and specify or update them. The powerful analytic tool measures whether the content is filling out specific buyer cycles, if the content is achieving strategic goals, or how different pieces of content collaborate for the consumer’s satisfaction. Moreover, it shows the percentage of social media account visits that come from particular companies, industries, etc. Buyer Persona tool lets you create ideal customers’ versions and analyze whether you attract them or not. The tool will tell you what content to create. Recommendations are based on live system data. All users can collaborate efficiently across every stage of the workflow. You can easily assign content or tasks to specific users. CoSchedule is an easy-to-use social planner with a bunch of “tasty” features. Target audience: freelancers, bloggers, marketers, small teams and agencies. The tool allows for creating, planning, scheduling, and sharing social media posts across most of the major platforms. Your entire team can use CoSchedule once you email them an invite and assign roles such as Guest, User, Administrator. The CoSchedule SMM planner has a referral program, giving you 10% off your subscription for each paying customer. (Bringing in ten customers will get you a free subscription. You can also receive a 50% discount if you write a review of CoSchedule on your blog.) CoSchedule starts at $30 per month. You can attach and share your notebooks from Evernote. Connect your bit.ly account to automatically create short links. When you share a link via social media, the tool adds UTM tracking tags. You can follow the results in CoSchedule’s custom dashboard. Create, schedule and share social media messages in Chrome. The calendar’s interface allows for drag and drop, so you can easily reorder your social messages, content, events, notes and tasks. Create a schedule for your blog posts, save and automatically stick to it when creating future posts. 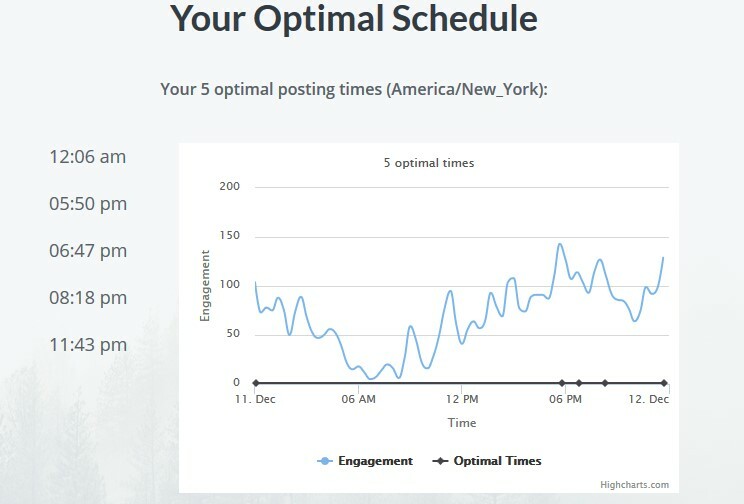 CoSchedule social media planner chooses the best time to publish your posts. This tool reshares your most popular social media messages whenever it finds a gap in your schedule to increase your traffic and ROI. Coschedule automatically analyzes your headlines and scores each from 0 to 100. CoSchedule offers various features for content editing. You can drag and drop videos, images or other files and attach Google Docs or Evernote notes. You can also download your content as a PDF file, convert it to WordPress or share it as a public link. This social media planner tool is primarily focused on content creation and sharing across popular social media platforms. Its target audience includes freelancers, marketers, small teams, agencies and startups. The app offers a free plan, which includes a social platform, 10 scheduled posts, a video and gif uploader, and four of the five major social networks (excluding Pinterest), but no additional team members. At registration, choose your time-zone, a preferred time range for your posts and the number of daily posts; Buffer will analyze this info and suggest your best time for publishing. You can change it later or recalculate optimal time for another social media profile and time zone. Overall, Buffer has a simple and intuitive UI. This simple editor lets you choose from 600k+ images or you can download your own, custom sizes for different social networks, then add filters, text, quotes and logos. Your image can then be shared and/or downloaded. You can download extensions for almost every browser, including Chrome and Safari. It allows, for example, the sharing of articles from websites to your social networks or Buffer retweets from your Twitter feed. The tool has free Android and IOS apps, where you can schedule and publish posts, check analytics, add team members, manage RSS feeds or change settings. You can feed your content from chosen websites directly into Buffer. Buffer is integrated with popular apps like Pocket, Feedly, Zapier, and many others. You can share content from these apps directly to your Buffer. This social media management tool for freelancers, marketers, small teams, and agencies is one of the few integrated with Foursquare (under Hootsuite’s paid plans), Instagram, YouTube and most of the rest. However, it does require credit card information before you start your free trial. In the unpaid plan, weekly or monthly editorial calendars are available only in listview. There are many useful analytical reports; however, there are few available until you upgrade. Publish or schedule social media posts, search posts in Twitter and Instagram or study stats. 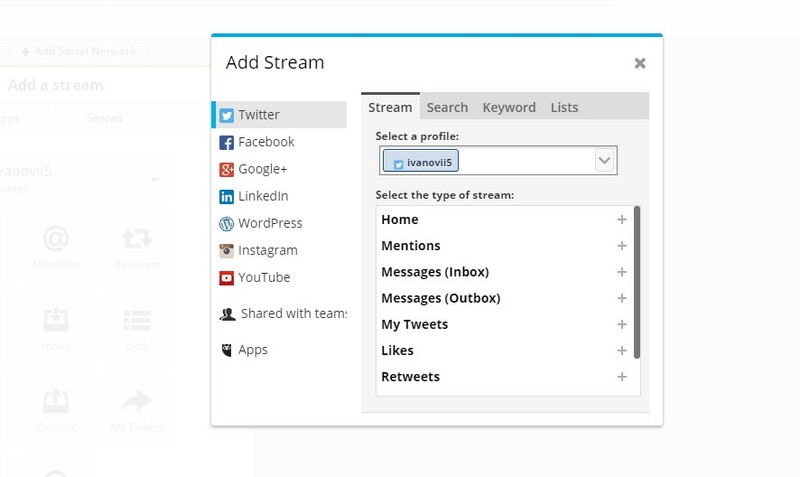 You can tie multiple apps to your Hootsuite account and share content to your networks. Currently, there are 162 apps available (including Gmail, Flickr, Pocket and Google Drive), 89 of which are free to include. No need to switch between accounts: just select from the list and click Send Now. 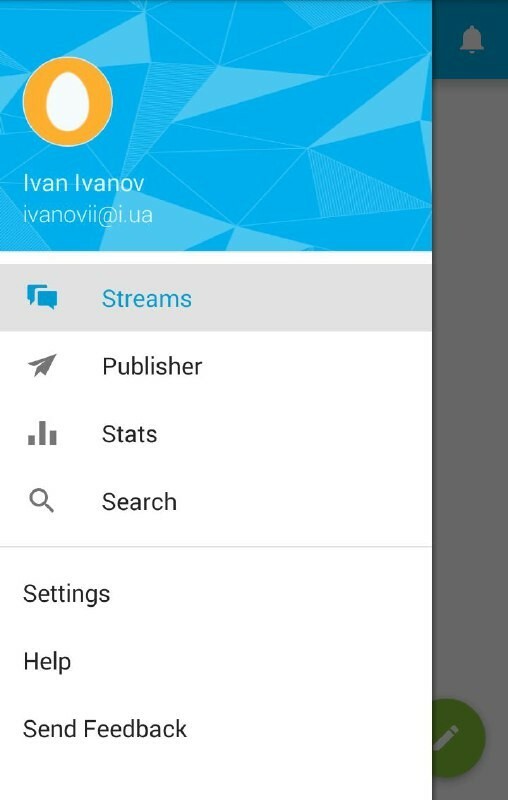 You can create streams for each social network to keep an eye on multiple aspects of your accounts simultaneously. You can create organizations, add team members, and assign tasks. Study the list of the accounts you follow and note whether they follow you back (which you can do so in the normal Twitter platform, of course), then contact or follow/unfollow them. The social media planner you choose should be based on the above information, plus your own instincts as a professional. We tried to stick to just the facts, without any value judgements; however, any of the these recommended social media post planners seems like they could work for us.